Irvine Software Company is a premier custom software, web applications, and mobile development company. We offer a wide variety of software development services for small, mid-sized, and enterprise level businesses. Our proven track record of successful projects, and excellent customer satisfaction has helped us to thrive in the industry for years. Our experienced workforce has a wide range of experience and expertise, in various areas of development with focus in Microsoft technologies. Whether you're starting new site, or require a custom tailored design, we can help you to develop your next website. 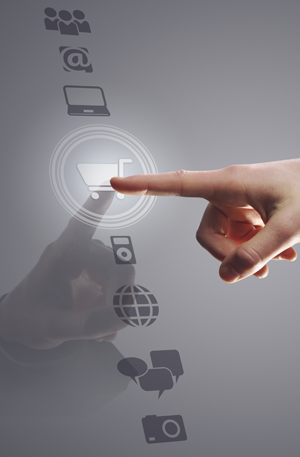 Our ecommerce design experts have helped many retailers to open an online store. Start your online store today! Do you have a complex business requirements? Our seasoned engineers can help. Contact us today at 949-398-8208. Have an idea? There is an app for it. Let us help you turn your idea into an app. Have an outdated website? Let us build you a responsive website that looks great in any device. Our Maintenance and Support services can help you unlock the potential of your existing website. Create a strong web presence with our onlne marketing services. Call today at 949-398-8208. Do you have complex business requirements. We helped many businesses to develop custom application and implement those requirements. Do you need custom database software to manage your business information? Call today at 949-398-8208. Do you want to migrate your old applications to the new technologies? We can help. Questions? Talk to one our technology experts today who can help answer all your questions and get you started with your project.